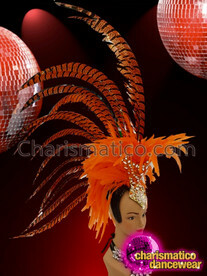 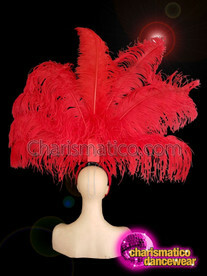 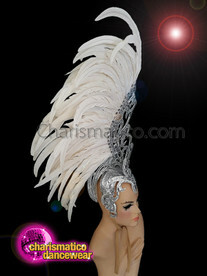 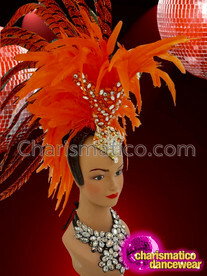 A stunning headdress is what completes a dance wear costume. 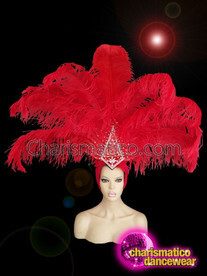 This feather and crystal headdress is made to create a surprising effect with its glitter and the magnificent aura created by the plumes. 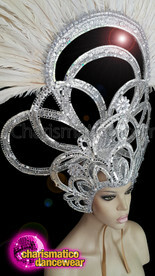 The white crystals stand out well against a blue backdrop.